"MerchantCircle has by far, been the most effective, cost-efficient way for me to market my business. It's hands-down, the best bang for my buck. My (ROI) return on investment sky-rocketed. In my first month, spending $30, I made by $1000 in trackable business. I've tried almost everything - Email Campaigns, banner ads - they were a waste of money," said Tuan Hoang, owner of Sky Printing and Graphic Design Services in San Diego, CA. "Too many people want to sit back and wait for money to roll in - it doesn't work that way. I tell people that MerchantCircle is a combination of the Yellow Pages, Better Business Bureau and Myspace rolled into one. Using MerchantCircle has helped me pay the bills and grow my business," says Tina Elmore-Wright, owner of Scents of Peace in Archer, FL. "It's important to stick with ways that work, while not missing out on the next opportunity and MerchantCircle has helped us come up at the top of Google search results. 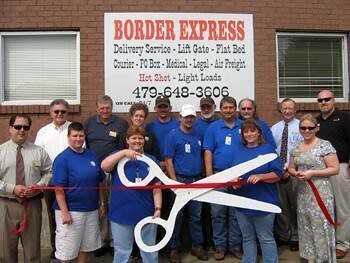 MerchantCircle and our website is the only thing we're doing that we consider 21st century," says Tish Whillhite, manager of Border Express Co. in Fort Smith, AR. "I didn't have the money to build a website, and MerchantCircle was free and easy-to-use. I was able to post my business information, pictures, send out newsletters and coupons to my customers, and the best thing was I was getting about 3,000 hits to my listing a month," says Michael Weaver, owner of Carriage House Cafe in Livermore, ME. Thanks for the great conversations! I just wanted you to know that I have had a surge in traffic with direct and verifiable referrals from my MerchantCircle profile page! Also, I've been trying to "talk you up" here in my community; and they are listening because I've noticed an increase in customer reviews to many local businesses. Merchant Circle totally rocks. I've received a lot of new business through this site, and receive inquiries almost daily. What a brilliant idea - I would highly recommend Merchant Circle to any small business wishing to grow their business. Just found th emerchant circle website an hour ago and have been having a browse though, your website looks like a fantastic resource for businesses and I am looking forward to spending more time here and generating leads to help my business grow, thanks! Why Won't the Yellow Pages Wakeup?